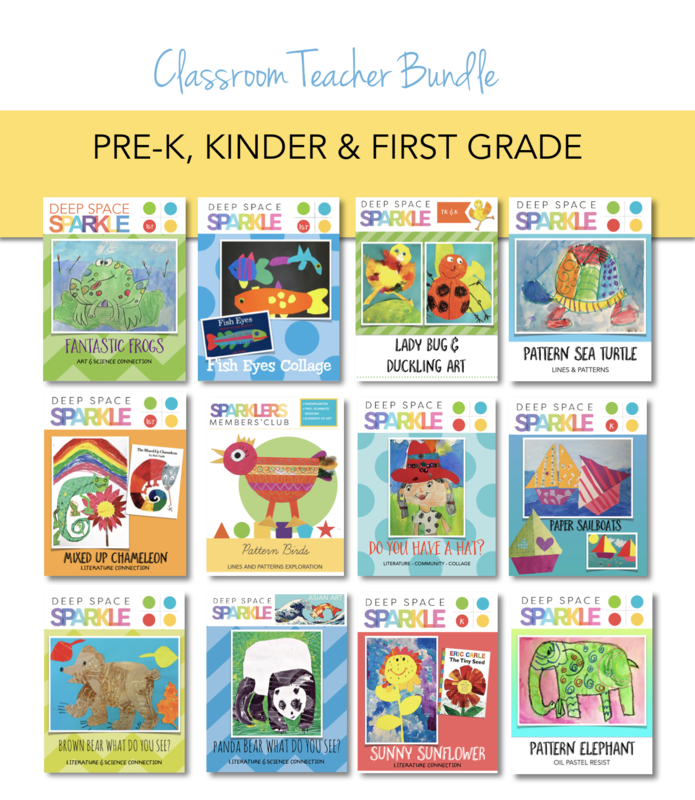 If you are new to Deep Space Sparkle and teach Pre-K, Kinder, or first grade and have no idea where to start, this bundle is for you! This art lesson package will offer you 17 art lessons and activities for one low price. This package has been carefully curated to offer you the best lessons for this age group; lessons that are inspired by popular children’s literature, simple but impressive art techniques and lessons that offer your students high quality art instruction right in your classroom. *Do not purchase this bundle if you are a Sparkler. It is included in your membership! – Panda Bear What do you See? – Brown Bear What do you See? – Do you have a Hat?